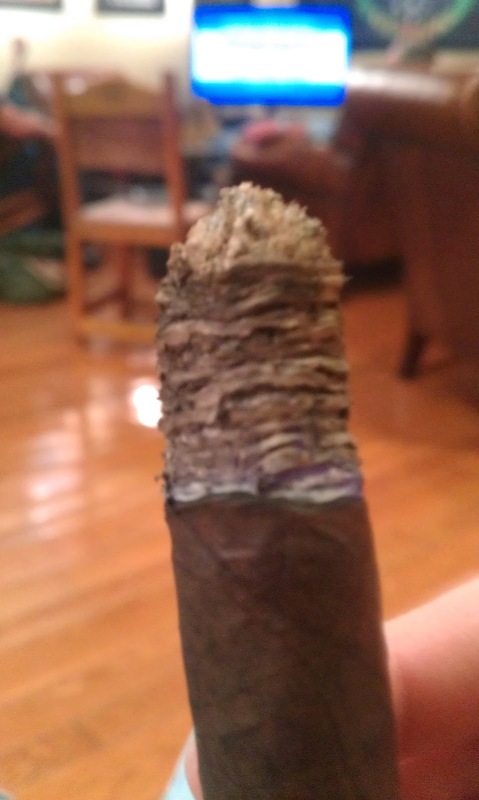 Appearance (0-20): This stick has been sitting in my humidor for 5 months, and I’ve been wanting to smoke it each time I opened it. 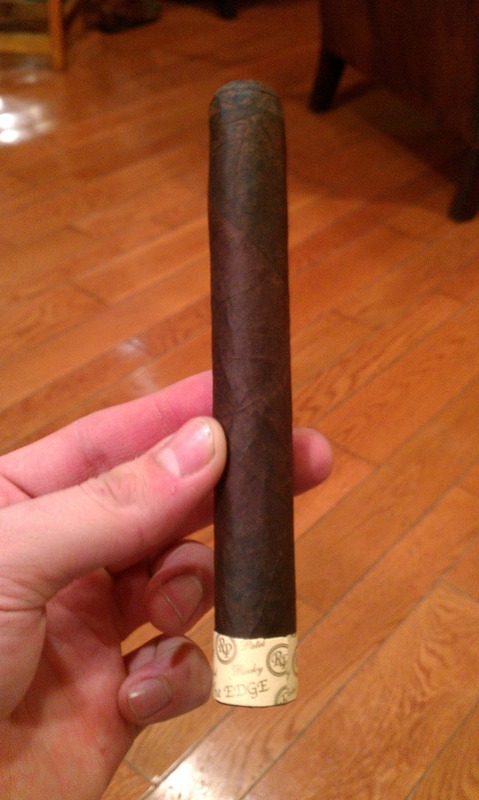 It has a beautiful oily, dark brown maduro wrapper. There are zero veins running down the wrapper, and it has some marbling of different colors. There is a bit a tooth, but it isn’t very pronounced. The band lies at the foot of the cigar, and is quite simple. Construction (0-20): Everything about the construction was done correctly. The cap clipped off very easily, without any excess debris. The draw was easy and smooth, which allowed it to give ample amounts of smoke. The ash was tightly coiled and held on for about 1 ½ inches. Strength (0-20): The marketing for this stick gives it a pretty full rating. The CI website mentions to be sitting down when smoking this powerhouse. While I was sitting, I never really felt that it moved into the full category. It starts off with a full spicy beginning, but it moves backwards towards medium. 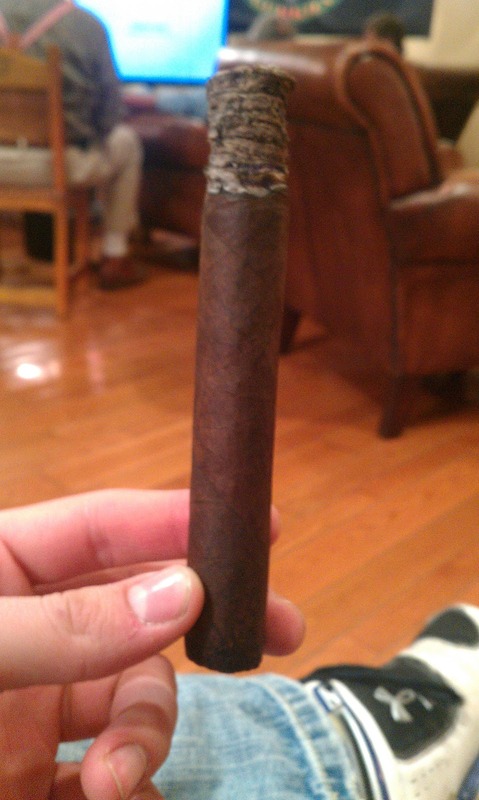 I do smoke a lot of fuller maduro cigars, so that could have played into the rating. Flavor (0-20): Boom. Straight into strong hints of pepper and woodiness. After the first inch or so, the spice is almost nonexistent. The remaining portion of the stick will give off strong hints of woodiness and notes of cedar. You’ll find small notes of spice and sweetness that move in and out, but it remains fairly smooth. Value (0-20): For under $6.00, you’re getting your money’s worth. While the flavor profile isn’t amazing, the other categories are pretty solid. Compared to some of the other Rocky Patel cigars, this one is pretty fairly priced. Overall (0-100): After much anticipation from seeing this in my humidor, I guess it was about average for me. It didn’t really wow me, but then again I wasn’t disappointed. I felt like the cigar was lacking in the strength department, but the construction and flavors were pretty solid. Couple those categories with the value, and you do have a pretty solid stick. I suppose 83 might not sound very flattering, but the strength really killed this one. I would like to smoke another one soon for comparison, and hopefully revisit it.